You can personalise this "Me To You" Canvas Bag with a message of up to three lines of 15 characters per line. All personalisation will appear in uppercase. Perfect as an eco-friendly alternative to plastic bags, this 100% cotton Canvas Bag is made from a sustainable material and is ideal for all occasions or for a Wedding Thank You Gift Bag. Ideal for Weddings, Wedding Thank You Gift Bag, Valentine's Day, Mother's Day, Back To School. 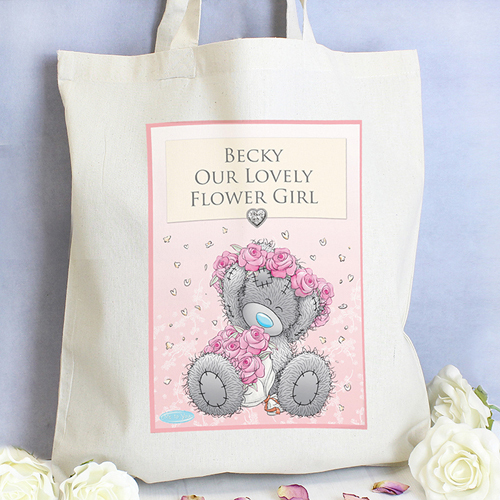 Personalise this "Me To You" Canvas Bag with a message of up to three lines of 15 characters per line. All personalisation will appear in uppercase.